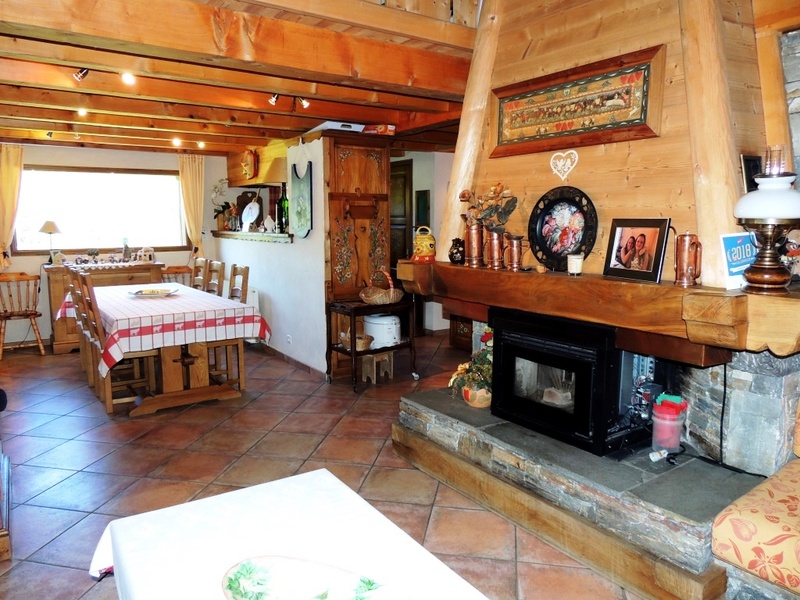 Located in a quiet part of Les Gets, just 1km from the Perrieres ski lifts this chalet is surrounded by countryside, on the edge of a forest. 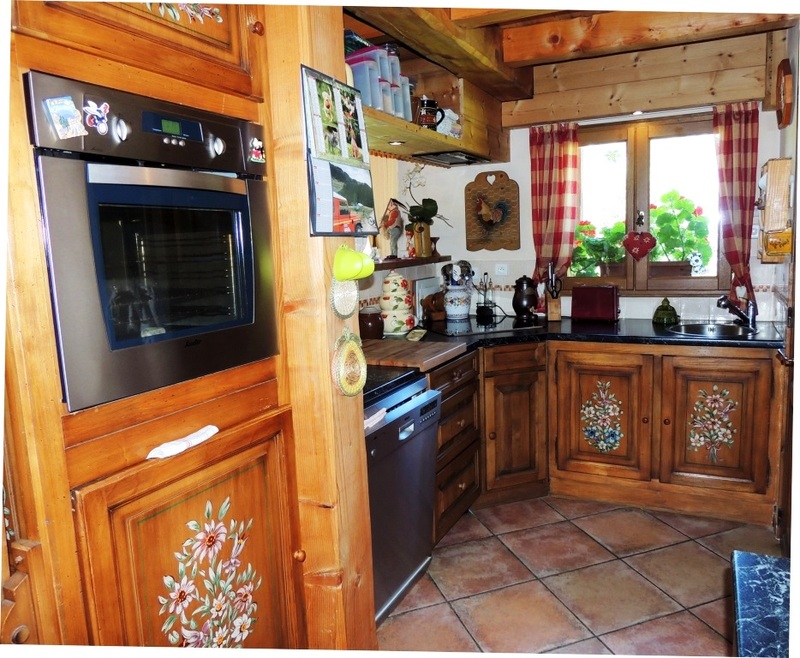 It was built in 2004 in the traditional Savoyard style. 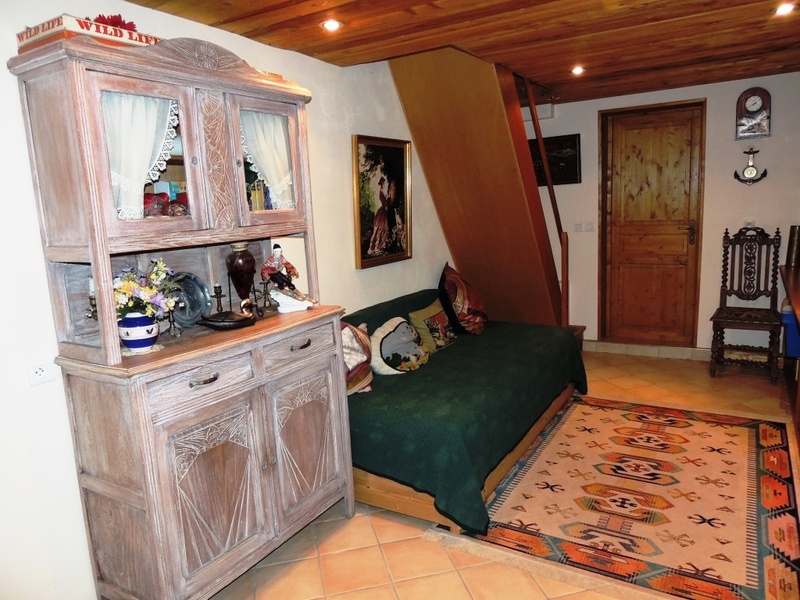 The accommodation includes 3 bedrooms and 3 bathrooms and a sunny living room. 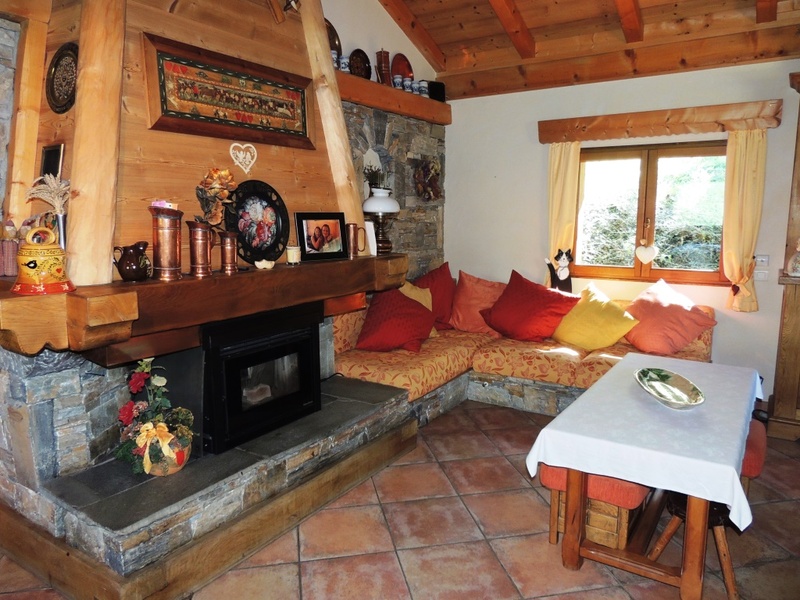 Also in the chalet are a utility room, a cellar, a double garage and a workshop. It stands in a 1400m² garden with a mazot. 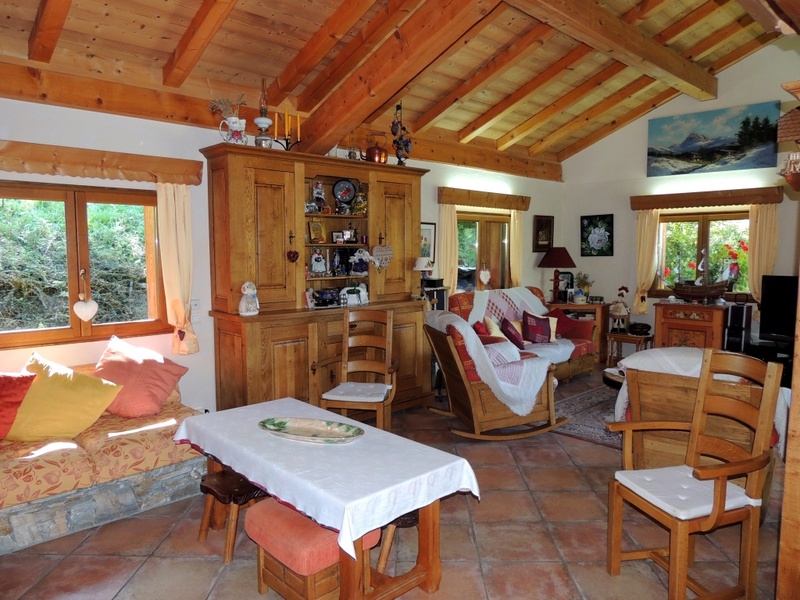 A large, bright living area with a traditional fireplace and an open equipped kitchen. 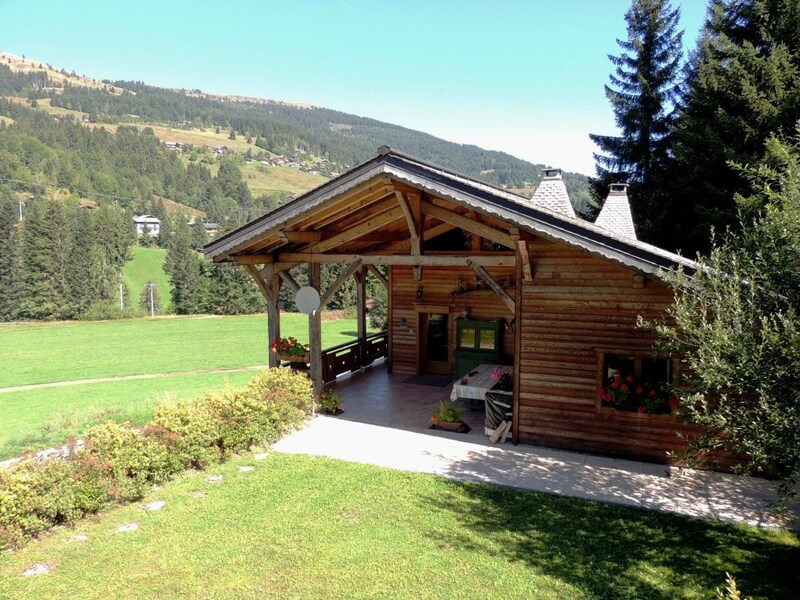 The room opens onto a large wooden deck with a south-west facing aspect and beautiful mountain views. Also on this floor is one double bedroom, a shower room and a WC. Above the living area is a mezzanine with space to make a bedroom, especially as there is another shower room and a WC up here, as well as a little storage area. A large entrance hall and a master suite with a bathroom with WC. 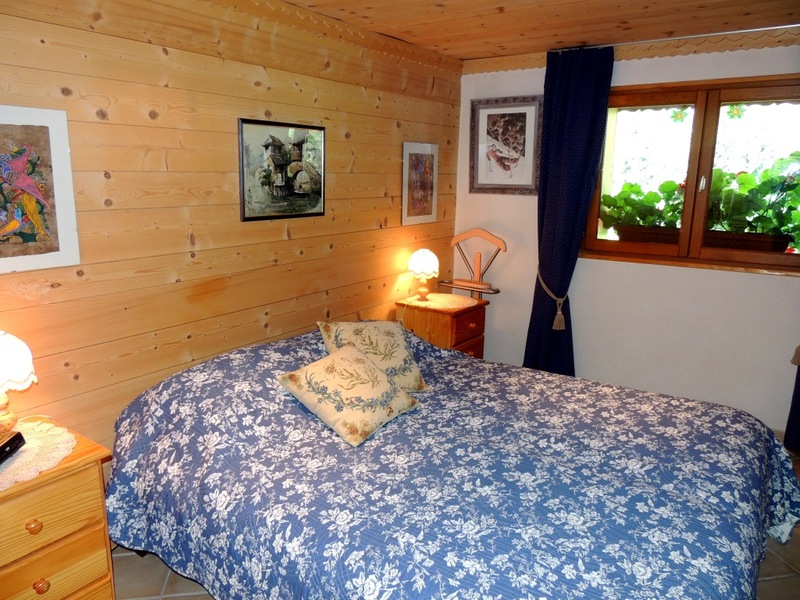 The chalet has a large laundry/utility room, a cellar and a double garage with a workshop. 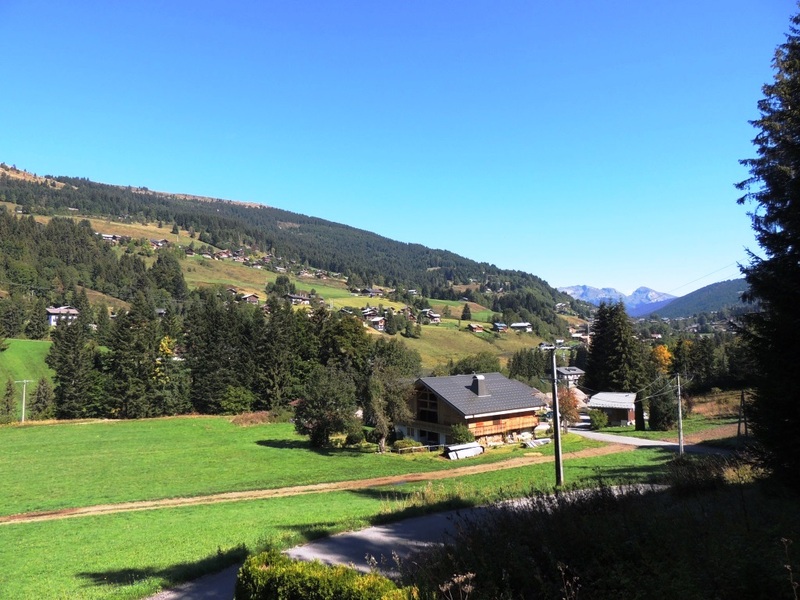 A large, landscaped plot of land measuring 1400m². 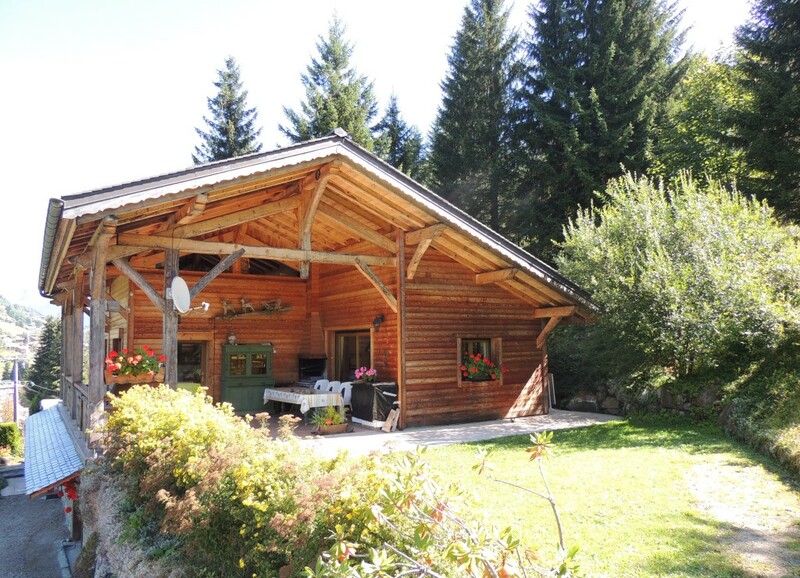 In the garden is a "mazot" - a small, traditional Savoyard storage building.